Many colleges require scores from the ACT or SAT tests as a part of the admissions process. Your ACT score is a key component of your college applications. The ACT is an entrance exam used by most colleges and universities to make admissions decisions. It is a multiple-choice, pencil-and-paper test administered by ACT, Inc. 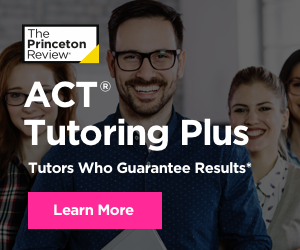 The purpose of the ACT test is to measure a high school student's readiness for college, and provide colleges with one common data point that can be used to compare all applicants. College admissions officers will review standardized test scores alongside your high school GPA, the classes you took in high school, letters of recommendation from teachers or mentors, extracurricular activities, admissions interviews, and personal essays. How important ACT scores are in the college application process varies from school to school. Overall, the higher you score on the ACT and/or SAT, the more options for attending and paying for college will be available to you. Most high school students take the ACT, SAT, or both during the spring of their junior year or fall of their senior year. It's important to leave time to re-take the test if you need to raise your score before you apply to college. The ACT exam is offered nationally every year in September, October, December, February*, April, June, and July*. View all upcoming ACT test dates. *No test centers are scheduled in New York for the February or July test dates. No test centers are scheduled in California for the July test date. The ACT also includes an optional 40-minute Writing Test. Some colleges may require that you complete the ACT Writing Test. You can confirm each college's admissions policies on the school website or on our school profiles. The ACT is 2 hours and 55 minutes long. If you choose to take the ACT with Essay, the test will be 3 hours and 35 minutes long. Each section of the ACT is scored on a 1 to 36 point scale. Your composite ACT score is the average of your four section scores, also on a scale from 1 to 36. If you take the ACT with Writing Test, you will receive a separate score on the Writing Test. Registration deadlines fall approximately five weeks before each ACT test date. You can get registration materials from your school counselor, or you can register online on the ACT website. How can I prep for the ACT? We can help. We have ACT prep solutions for every student and every budget.